1. Rabbi Moses ben Maimon was born in the year 4895 (1135) in Cordoba, Spain. His father Rabbi Maimon was a “dayan” a judge of Jewish law in Cordoba. The Rambam (an acronym for Rabbi Moses ben Maimon) passed away on the 20th of Tevet 5065 (1204). According to tradition the Rambam descends from Rabbi Yehudah the “Nassi” (prince) the sage that finalized the Mishna. 2. The Rambam had a very cerebral and innovative approach to life that also came from sources outside of Judaism to the point that he is considered a great philosopher even in European and western culture. He is recognized as “Moussa ben Maimon” in Arabic or according to his full title “Abu Amran Moussa ben Maimon ben Abdallah Al-kartvi Al-Asraa yali” meaning Moses ben Maimon the Israelite from Cordoba. 3.Why is the Rambam considered an important figure? It seems his activities in so many different areas earned him his great stature. He was a scientist and doctor, from the great medieval philosophers and a community leader in and around Egypt. He is the most prominent Jewish leader of his generation and considered one of the pre-eminent authorities of Jewish law for all generations. 4. When only 13 the Rambam and his family had to flee Cordoba because of persecution of the Jews and they were always moving around Spain not finding any respite. They continued to Fez in Northern Africa what is now Morocco. There too the Muslim zealotry rose and The Rambam’s teacher, Rabbi Yehudah Cohen Ibn Sasson was killed during pogroms sanctifying G-d’s name. The Rambam went from there to the Holy Land. After that he went to Egypt and settled there. 5. When living in Fustat the capital of Egypt at the time, he married the daughter of Rabbi Mishael the Levite son of Yeshaya the Hasid Levite Althaca and his only son Rabbi Avraham was born (1186-1238). 6. The Rambam served as the religious community leader of Cairo but earned his livelihood by investing with his brother David that dealt in precious stones an owned a ship. In 1,177 David died when his ship sank and the Rambam mourning his brother deeply was bedridden for an entire year. The lack of a livelihood forced the Rambam to learn medicine and in short time became one of the leading physicians in Cairo. In 1185 he became the physician of the Vizier Al-Apachel, the second to the king. A short time after that he became the physician of the king, Salah a-Din and his son the vizier. 7. 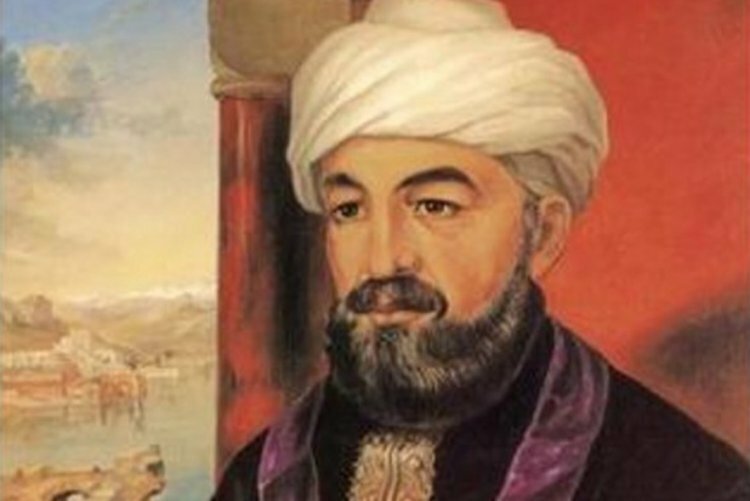 If you were wondering why Jew from Yemen follow the Rulings of the Rambam though the Rambam never served there, you should know that the Rambam corresponded with many Jewish communities around the diaspora answering their questions on Jewish law and faith. The Yemen community was in constant correspondence with the Rambam and accepted him as their leader and authority on Jewish law. In the aftermath of pogroms there the Rambam wrote the famous “Yemen Letters”. 8. Most of us may be familiar with the Mishna Torah on Jewish law and the “Guide to the Perplexed” on Jewish philosophy and the Commentary on the Mishna that the Rambam wrote. But the Rambam wrote many more works when he was younger that he hadn’t edited and most of them subsequently got lost. Among the incomplete works is a “Commentary on Difficult Laws of the Talmud” on most of the Talmud, “The laws of the Yerushalmi” on the Jerusalem Talmud similar to the Rif Rabbi Alfasi on the Babylonian Talmud, different compilations of comments on the Rif, The essay on the Jewish Calendar and establishing the lunar leap year” and more. He also wrote 11 books on medicine that we do have including “The book of Asthma”, “Chapters of Moses”, an “Essay on Hemorrhoids” “Names of Medicines” and “On life’s End” and others. 9. The popular image we associate with the Rambam appears in the “Thesaurus Antiquitatum Sacrarum” meaning “Treasure of Holy Antiques” which was published in the 18th century. The author claims that the picture was based on the image on an ancient engraving, but chances are that it was an imagined image and not his true likeness. 10. The Rambam died in Egypt but was buried in Tiberias, this is not disputed. The Holy Ari and his student Rabbi Chaim Vital testify to this. Rabbi Joseph Sambari from Egypt also testified that: they buried him in his Bet Midrash (house of study) in Egypt and afterward brought to Tiberias and reburied there.